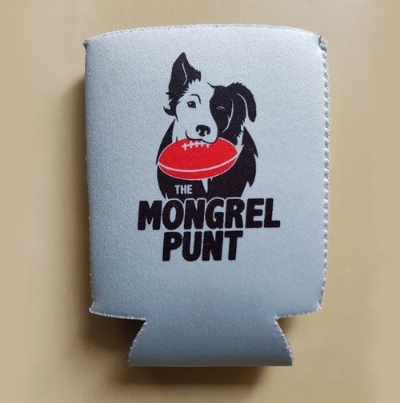 Heroes and Zeroes - Port Adelaide v Richmond — The Mongrel Punt Become a Patron! No Dusty, no worries: Richmond defies the odds to beat Power on the road. I thought my footy tipping performance this season couldn’t get any worse. Well, it has, after the Power suffered a shock loss against an undermanned and inexperienced Tigers outfit missing three of their most important players. In a game that ebbed and flowed in terms of momentum, the yellow and black prevailed at the death, courtesy of two brilliant solo efforts from Kamdyn Macintosh and Tom Lynch. The Mongrel looks at who fired and fizzled in the Tigers surprise victory. It’s doubtful as to whether the Tigers backline would have featured Brandon Ellis if not for the knee injury sustained by Alex Rance against the Blues in round one. Propelled into the Tigers side as a replacement for the key back, Ellis gave his spot some security with a breakout performance this evening. The Tiger was one of his team’s best, amassing 28 touches and booting a superb long-range goal in the first half. With his team lacking experience, Ellis showed great composure throughout the whole contest and exhibited good leadership in the absence of Trent Cotchin. I’ve always been a silent critic of Ellis, a player who has performed highly in dribs and drabs, but has played shocking games on a more consistent basis. It looks as if he has improved his field kicking too, another plus for a Tigers outfit missing Alex Rance. All in all, praise must go to Brandon Ellis for a performance Tigers fans will be hoping marks the start of a breakout 2019 season. Dylan Grimes’ consistency as a defensive lock for the Tigers has often gone unnoticed, with the majority of accolades being heaped on Alex Rance. Grimes delivered again this evening, in a match which went to the death and was determined by a series of key moments. The Richmond full-back took six marks in the last quarter, SIX! Six marks for a whole game is a fair effort, but to take a half-dozen grabs when the game was well and truly on the line is a remarkable achievement. Kudos to Grimes for standing up not just tonight, but for many times throughout his career. In the absence of Jack Riewoldt, Richmond needed their big off-season recruit to stand and deliver. Tom Lynch did just that. The big man kicked six goals and iced the game with ripping long-range effort, giving the doubters plenty of humble pie to devour. I have been critical about Lynch in the past in terms of his second efforts and work-rate, but this evening the 26 year old gave his all for the entirety of the game. His efforts are worthy of recognition as a hero in the Tigers victory. Port Adelaide’s best player by a mile, Rocky continues to win the footy at will in the midfield. Finishing with 37 disposals and six tackles, the former Lion played a lone hand in a centre mix which failed to fire at crucial stages of the game. Is Rockliff a Brownlow smokey? On his current form, you couldn’t discount his chances at clinching Charlie, although he’ll need the Power to win a fair ratio of games to come into consideration. Regardless, the Power are a better team with Rockliff onboard. This is an edit after a terrible oversight. Ross was a star on debut, and obviously got under the guard of the Port midfield, and coaching panel. He had 25 touches at 88% efficiency, grabbing an opportunity afforded him due to injury and suspension to make a claim on a more regular spot in this Richmond team. The thing about good teams is that just when you think they’re down and out, they find something to bolster their ranks. Richmond found Sydney Stack last week, and they found Jack Ross this week. A week is a long time in football - just ask Conor Rozee. After kicking five goals, racking up 21 disposals and winning a rising star nomination, the power young gun was nowhere to be seen against the Tigers. With just three kicks and nine handballs, Rozee had a shocker of an afternoon. But the young man will learn nonetheless that footy isn’t all rainbow and roses, and that you have to earn your place as a superstar back. No doubt he, along with Zack Butters will be back to the lofty standards they have set so early on in their respective careers very soon. The Hoff had a howler, and his performance almost summed up the Power’s day. Westhoff finished with just 14 disposals and a behind, using the footy at a meager 64% efficiency. Credit must go to the Tigers defensive unit for swamping the big man whenever he tried to impact a contest, although it seemed as if the player who starred against the Demons in round one just wasn’t switched on today. Not switched on is a phrase which can probably be applied to Westhoff’s teammates, as well. If giving Rozee a whack was harsh, categorising S.Motlop as a zero is anything but. The former Cat wasn’t poor- he was absolutely pathetic. The Power needed him to stand up and break the game open with some run and carry or a trademark Motlop goal from the boundary line, but it wasn’t to be. Motlop had just four kicks and three handballs, and his failure to impact the game was profound. He is another one of those players who hasn’t blossomed into the star player he’s capable of becoming. It’s a shame, really, to see talent remaining untapped. Personally, I feel Motlop would be best served by a couple of games in the reserves side, something which would do his confidence either a world of good, or serve as a stark reminder that places in the seniors are earned, not gifted. It’s clear the man isn’t backing himself in to deliver in big moments, and playing AFL with this mindset will only do him more harm than good. I lashed Balta last week, and I’ll do the same again in regards to his game against the Power. Yes, the big fella is honing his craft in the ruck, but even then he hasn’t contributed much to his team. Ten touches at 40% efficiency, just five hitouts and a behind. Now you can’t seriously tell me those stats aren’t worthy of a zero? Like I said last week, I feel like Balta needs to spend a little more time in the twos to better his ability.